Society of Nuclear Medicine Procedure Guideline for Scintigraphy for Differentiated Papillary and Follicular Thyroid Cancer. SNM. 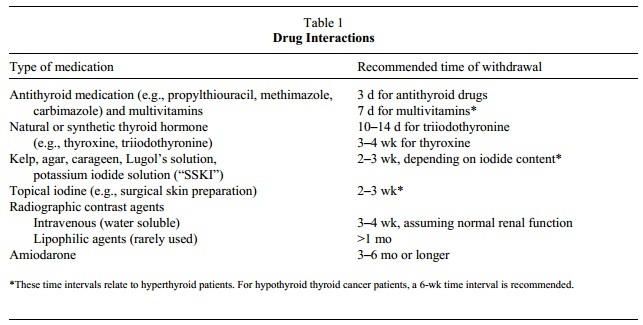 According to recent NEJM articles, Thyrogen as a preparation for iodine uptake is "non-inferior" to TH Withdrawal (THW) for Stage I and II DTC. There is not enough data to say this for Stage III and IV DTC, so THW is the preferred method of preparation.